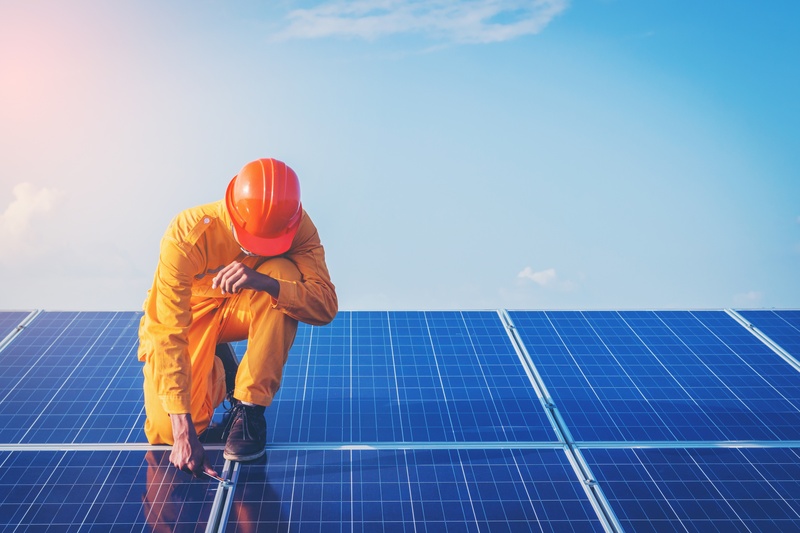 There’s no getting around it – solar panels are a big investment, and while we all know they’ll lead to a better, cleaner future, their benefits can seem abstract and intangible once homeowners are faced with those big numbers. The key: to inform and connect with a growing demographic of homeowners looking for alternative energy sources and consistent utility bill savings. Within that equation, leads play an important role in helping you identify, engage and convert homeowners while giving you a competitive edge. Here’s how to select, impress and convert them. We may sound like a broken record at this point, but it bears repeating: not all solar leads are created equal. Factors like geographic proximity, level of interest, realistic budget expectations or major issues with the house (shade, structure etc) can all have a major impact on whether you close the deal or not. That’s why we make a point of call-confirming each one of our leads to make sure the homeowner is still interested and to run an initial analysis on any issues that may arise. We also allow our users to filter their leads strategically based on criteria like proximity, level of competition and price. This means every company can bid on leads based on their unique needs and resources. Did you know that all Solargraf customers get 10% off our premium quality leads? With our call-verified leads going for as little as $40, our users are seeing a great return on investment already! When you’re selling solar, it’s important to be on the ground, building relationships in the community and making yourself available to quickly answer questions or provide quotes. That’s why you need a quoting tool that can move with you. While your office may be your main homebase to wrap up loose ends and plan your days, you can save a significant amount of time and gas money by using a mobile tool like Solargraf, which lets you buy leads, create projects and build quotes from any device. That means you can drive by a house with great exposure, build a quick quote directly on your phone or iPad, then knock on that door with a professional quote already in hand. With a complete outline of potential savings, tax incentives, costs, promotions, payment options and project timelines, you’re much likelier to put the homeowner at ease and impress them with your speed, professionalism and flexibility. To many, their home is their most precious asset and investment, which means they have strong feelings about the safety and aesthetics of their roof. Prior to installation, many homeowners want a general overview on how the solar panel system will affect the home’s overall appearance. Using a resource tool, draw the rooftop design as an effective way to finalize the sale and make the homeowner feel confident about their decision. Showing a customer the potential layout of the panels also proves that you care about the buyer’s wishes and understand how important it is to treat their house with respect and consideration. Small, incremental changes to a rooftop design may be just the tweak a homeowner needs to commit to the project and sign the digital dotted line. Every solar installer has a different approach to finalizing a sale. A solid tool should be able to customize and adjust in order to meet the solar installer’s needs. Here are some of the features you should be looking for. Chatting capabilities: A chat feature allows the solar installer to engage with office staff or others while working out in the community. Asking questions about the next potential buyer will help in producing high-quality lead generation. Along with searching for the next lead, the ability to ask questions and receive immediate answers is a valuable resource tool. Personalization: A solar tool should allow for personalization to help generate solar leads. Making notes about potential clients will help in the selling process. For example, a potential customer may recommend another homeowner. Being able to input accurate data will help when meeting with the next sales opportunity. Linking to other valuable resources: Checking the weather or other sources is another way to complete a sale. California weather patterns are the perfect way to make a valid point when discussing the sun as a renewable energy source. Many homeowners need reassurance the solar panels will provide optimal results in their specific location.